HEY SPY NINJAS, CHAD & VY NEED YOUR HELP! Join the SPY NINJA NETWORK to help Chad Wild Clay & Vy Qwaint defeat Project Zorgo! 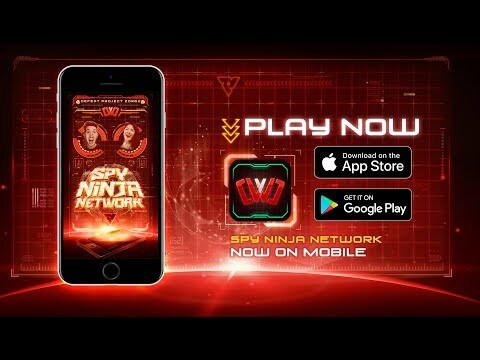 Use Spy Ninja tools to climb the ranks and see if you’re among the best in the worldwide network. Get clues from Chad & Vy about Project Zorgo, and receive... see more HEY SPY NINJAS, CHAD & VY NEED YOUR HELP! Join the SPY NINJA NETWORK to help Chad Wild Clay & Vy Qwaint defeat Project Zorgo! Use Spy Ninja tools to climb the ranks and see if you’re among the best in the worldwide network. Get clues from Chad & Vy about Project Zorgo, and receive special intel through the app! Project Zorgo is trying to stop us though. They&apos;re putting viruses on our circuits, so be sure to use the DESTROY THE VIRUS tool to blast their viruses off our network!  WHO’S THE BEST SPY NINJA?